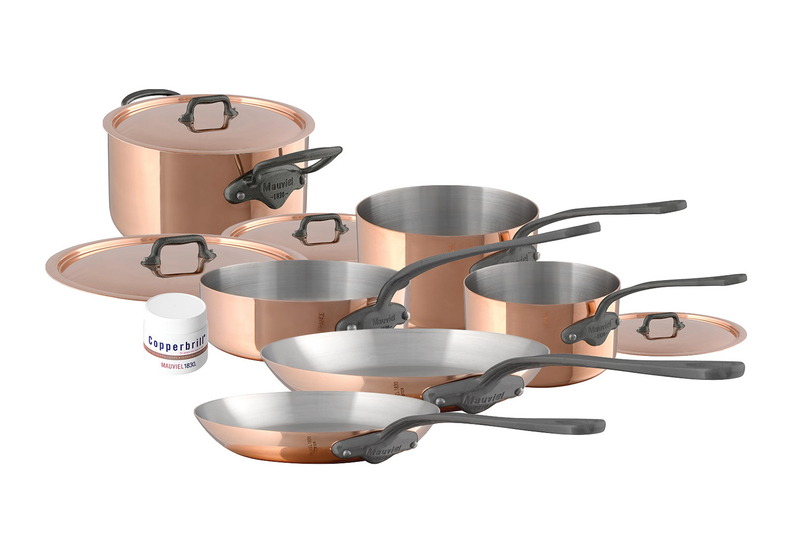 Each pan in this Mauviel M'heritage 150C2 10-piece copper cookware set gives you precise temperature control and looks fantastic. This M'heritage cookware from Mauviel is fast heating and fast cooling because it's 90% copper. The cooking surface is top quality 18/10 stainless steel. That means you never have to worry about foods interacting with the cooking surface and creating metallic or off-tasting flavors. Handles are sturdy, rust-resistant steel and are a dark cast-iron color for the traditional French look. Mauviel cookware has been made in France since 1830 and comes with a lifetime warranty with normal use and proper care. Matching lids are made by Mauviel. Lid and pan handles are of sturdy cast stainless with a dark cast-iron color for a traditional French look. 90% of each pan is copper! The stainless steel interior only provides a non-reactive cooking surface, so you can cook acidic foods that will stay true to their natural flavors. 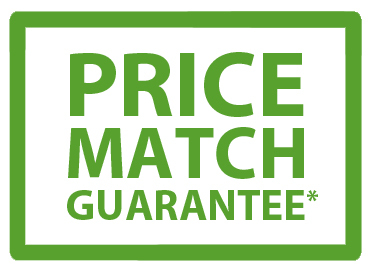 Lifetime warranty from Mauviel with normal use and proper care. If cooking on gas, don't let the flame go beyond the base of the pan. This can cause pan to change color. Not dishwasher safe. Wash by hand and immediately dry with a soft cloth to avoid spotting. Over time, copper will change color. This does not change its cooking effectiveness. To remove food residue and stains, soak in hot soapy water. If not clean, then use a nylon scrubbing pad. DO NOT use steel wool, scouring pads, bleach-based cleaners or bleach. Lifetime warranty from Mauviel, with normal use and proper care.